The electric utility industry is comprised of municipal utilities, cooperatives and investor-owned utilities. Municipal utilities are governed by the city council or appointed utility commission. Municipals are non-profit. Capital is raised through operating revenues or sale of tax-exempt bonds. There are 125 municipal electric utilities in the state, and they serve approximately 357,000 customers. Regulation is largely through the local council or commission. Various safety and service issues are regulated by the state PUC or federal government. Municipals also occasionally address wholesale power and transmission transactions at the Federal Energy Regulatory Commission. Cooperatives are governed by an elected board of directors. Those cooperative customers whose name appears on a bill are eligible to vote for these directors. Cooperatives are non-profit entities but make a ‘margin’ on sales. Cooperatives often access funds through the federal Rural Utilities Service, or the National Rural Utilities Cooperative Finance Corporation (CFC), a privately owned, non-governmental organization. Traditionally, cooperative boards set their own rates. Cooperatives serve approximately 741,000 customers. Investor-owned utilities, also known as IOUs, are governed by a board of directors elected by stockholders. IOUs are a state-regulated monopoly. They exist to make a profit for their stockholders while serving the public. Capital is raised through stock sales, taxable bonds and through operating revenues. Five IOUs operate in Minnesota. They serve more than 1.44 million customers. IOUs are regulated by the Minnesota Public Utilities Commission (PUC). Municipal electric utilities serve approximately 308,000 residential customers, 46,000 commercial customers, and 3,000 industrial customers. Total population of municipal electric utility cities is approximately 643,000. Cooperatives serve approximately 686,000 residential customers, 51,000 commercial customers and 4,200 industrial customers. 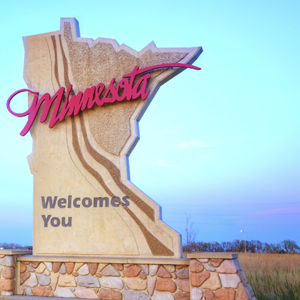 Investor-owned utilities comprise the largest segment of the industry in Minnesota. They serve approximately 1.3 million residential customers, 169,000 commercial customers, and 1,500 industrial customers. There are 125 municipal electric and 31 municipal gas utilities in Minnesota (some cities with municipal electric utilities also operate municipal gas utilities; other cities operate a gas utility but not an electric utility). These utilities are located throughout the state. See the state map for their locations. By far the largest municipal electric utility is Rochester, which serves a city of over 100,000 people. 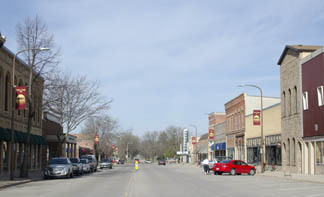 The next largest municipal, Moorhead, is much smaller, with a 35,900 population. Anoka, Austin, Moorhead, Owatonna, Rochester and Shakopee are the only utilities with more than 10,000 customers. Of Minnesota's municipal utilities. 82% of have fewer than 5,000 customers; about 38% have fewer than 1,000 customers, and about 20% have fewer than 500 customers. The average municipal electric utility operates in a city of 5,142 people and has 2,856 customers. 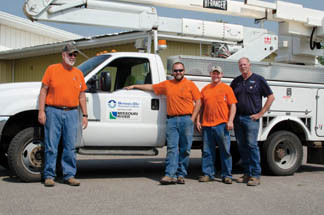 The median municipal electric utility operates in a city of approximately 2,500 people and has approximately 1,800 customers. The smallest municipal electric is tiny Whalan, with a population of 63 (2010 census). The largest municipal gas utility is Duluth, which serves in a city of 85,000. The next largest municipal gas utility is Austin, which serves in a city of 23,700. Due to these larger cities, the city population for an average gas utility is 7,040, but the median municipal gas utility operates in a city of only 1,200. While no new municipal electric utility has formed since 1965, a number of municipal gas utilities have formed in recent decades. The most recent municipal gas utilities formed are Brownton (2013) and Battle Lake (approved by voters in 2012 and bonds sold and construction started in 2014). Municipal utilities, also known as ‘public power,’ are an important, contemporary American institution. From small towns to big cities, wherever public power exists, it is an expression of the American ideal of local people working together to meet local needs. It is an expression of the local control that is at the heart of our federalism system. However, a public power utility has many distinct characteristics that benefit the consumers of the individual community it serves. Municipal utilities offer energy services tailored to their local needs. These services range from construction and maintenance of municipal water pumping, street lighting and heating assistance programs to a wide range of energy efficiency and conservation projects, such as: lighting retrofits and rebates, residential compact fluorescent lighting programs, loans, air conditioning tune-ups, load control, tree planting, audits, public education, distribution and/or installation of water heater blankets, infra-red camera surveys and power factor improvement activities, to name a few. Minnesota municipal utilities also operate the largest residential co-generation heating system in the world, the first hot water district heating system in the U.S., and also fostered the first commercial wind electric generating plant in Minnesota. Municipal utilities are governed either by a local utility commission or by a city council. Governance in the 125 municipal electric utilities is nearly evenly split between these two methods. Where municipal utilities are governed by a local utilities commission, commissioners are generally appointed by the city council. In two cities - Blue Earth and Austin - commissioners are elected. Municipals are subject to all the state’s laws regarding public bodies, including the Data Practices Act, Open Meeting Law, public bidding laws and the recently-enacted government ethics laws. No other utility invites as much public input or operates in such an open, democratic manner. Open, accessible governance is one reason municipals are also known as ‘public power’ utilities. Municipal utilities typically have some of the lowest rates in the state. This is especially noteworthy, since Minnesota is generally considered a state with moderate electric rates. The U.S. average revenue per kilowatt hour for all sectors, by state, in 2007 was 9.13 cents. The Minnesota average was 7.83 and the municipal average was 7.79. When there is a problem, response time from utility personnel located in the city is quicker than calling a utility with personnel spread over a wide distance. There have been many examples of municipal utilities shining through widespread disasterz. The Halloween ice storms of 1991 highlighted the reliability of municipal systems. according to the Austin Daily Herald, "In Austin, the power outages lasted a few hours before restored. In the countryside and rural towns, it would be days or even weeks before full power was returned." A reprise of that storm in March of 1992 led to an outage of 14 hours for residents in parts of southwestern Minnesota. In Worthington, according to the Daily Globe, "The power was off for a total of two minutes." The April 2013 ice storm in southwestern Minnesota left 70,000 electric customers without power. Media reports noted Worthington has the hardest hit in terms of tree damage. Precious little utility damage occurred in Worthington, however, since the system is entirely underground. Transmission lines to the city were downed, so power from the municipal power plant was rotated throughout the city. Media reports noted the 'rolling blackouts' in the city, but failed to mention that customers were never without power for more than an hour at a time over a four day period. Across the street from the municipal territory, some customers were without power for a week or longer. 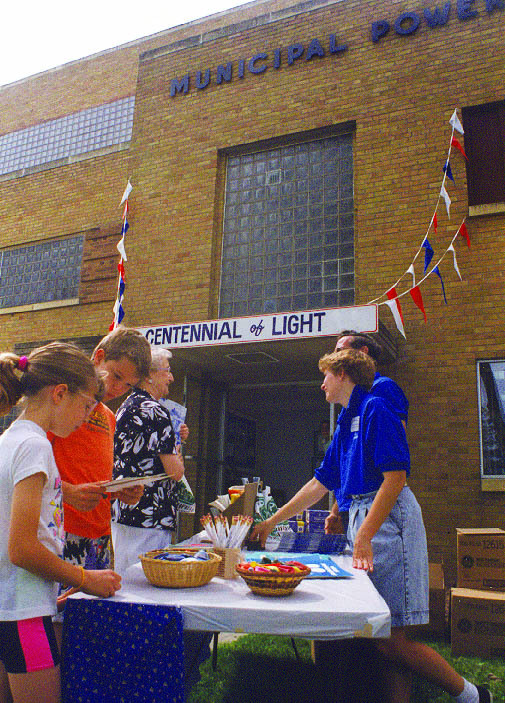 During that same ice storm, 15 minutes after transmission service was cut and the city of Adrian was plunged into darkness, power was restored from the municipal power plant. The city remained a beacon of light and warmth while most of the region shivered in the dark for days. In addition to providing reliable, low-cost power, municipal electric utilities also return money to the city general fund. This helps a city keep down its property taxes. In many cities, municipal utilities contribute financially to local development efforts, provide free or discounted service to the city, and contribute time, equipment, and materials to city projects. Allowing a municipal electric utility to serve throughout the city keeps all citizens on an equal footing as far as taxes and electric rates, and thus helps prevent local political problems.